Home > Article > dc Talk Week: Day 4 – Secular or Saved? 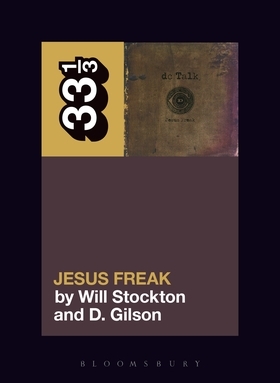 For their final blog post, dc Talk’s Jesus Freak authors Will Stockton and G. Wilson invite you to take a quiz to find out… are you closer to Christ or Satan? As young music critics for Christ, one of our favorite games to play was “Secular or Saved”. It went something like this: grab a friend. Grab a radio. Turn the dial at random. When a song comes through, ask each other: is this artist sanctified by the blood of our one true Lord and Savior, Jesus Christ, or is this artist damned for the fiery dungeons of Hell? Okay, we didn’t actually play this game. But in the 1990s, it was often hard to ascertain whether or not a song was a blatantly Christian song, a secular tune, a secular tune by a Christian artist, a Christian-seeking number by a secular artist, or some cross-section of these demarcations. Can you find Christ in these lyrics, or do they take you one step closer to Satan? 1. B. Jars of Clay, “Flood” (1995). Que youth pastor with acoustic guitar — “If I could swim after forty days” — dreaming of becoming Kurt Cobain but falling somewhere closer to that one straight-edge kid from your dorm room freshman year who always acted like he was high but knew a suspicious amount of Bible trivia. 2. C. Soundgarden, “Holy Water” (1991). Although beginning with a seeming confession of sin and a reach for the Bible on the nightstand, the song quickly turns to condemn Christianity. Believers beware. 3. B. Alanis Morrissette, otherwise known as the “secular” Amy Grant, “You Oughta Know” (1995). It’s clearly not Mary the Mother of Jesus she sings about going down on you in a theater. 4. C. Plus One, “Written On My Heart” (2000). But let’s be honest, it might as well be “Written On My Heart,” “Tearin’ Up My Heart,” or “True To Your Heart.” With the exception of the underrated Hanson, all groups of white boys sound the same. 5. D. NIN, “Closer” (1995). Though easily mistaken as lyrics from The Lion King, this song actually hails from perhaps the most Satanic bands since The Beatles. Total proof that Satanic Panic wasn’t merely Sally-Jesse-Raphael fueled hysteria. dc Talk’s Jesus Freak is out now. Ordered your copy yet?